Few if any Episcopal priests wear cowboy boots and sombreros with their Roman collars. Yet, for Jim Airey, who served as the rector of St. Andrew’s Episcopal Church, Houston Heights from 1934 to 1944, boots were as much a part of his dress as his church vestments and collar. 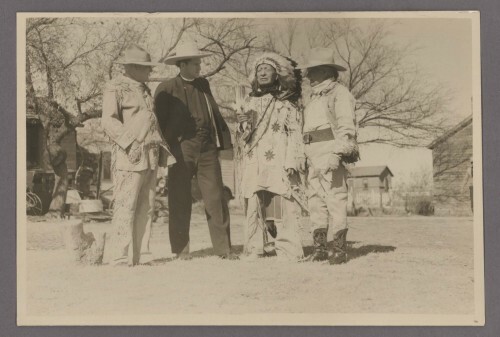 Parishioners called him the “Cowboy Priest,” but an examination of his life reveals a man with far more than an affectation for boots. Born on January 20, 1904, in Shreveport, Louisiana, Airey must have grown up admiring the idealized cowboys he saw as a teenager at the movie theaters and the western milieu that surrounded them. 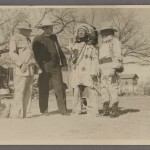 Young people in the 1920s found Tin Lizzies, ragtime, and movie queens fascinating, but for Airey it was horses, western gear, and figures like Buffalo Bill, Quanah Parker, and Kit Carson. Click here to view complete pdf of article.